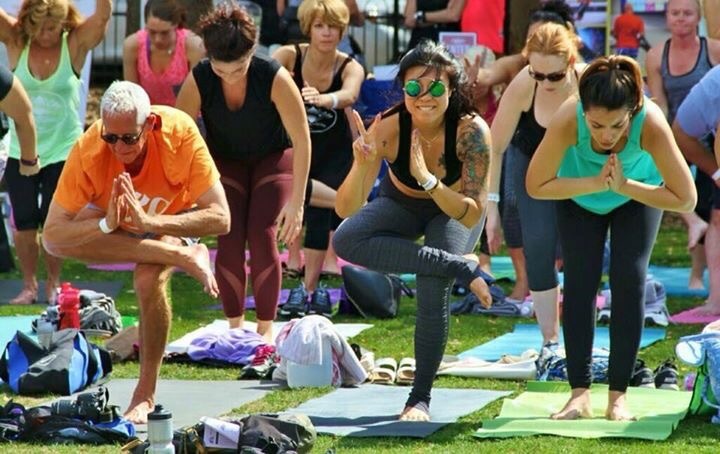 Yoga in Lake Eola Park was created by local yogini and yoga enthusiast, Amanda Reh in 2013. Her intention was to bring more awareness of health and community to Our City Beautiful, Orlando, at an affordable cost. And nothing beats an outdoor yoga class! Just $5 bucks! There is a cash box for the students to drop in their contribution, or you might spot one of our tribe members walking around to collect the payments. •Where does my monetary contribution go? The city of Orlando has granted us a permit to use their gorgeous lawn. In order to keep that lawn happy, healthy and reserved for your Sunday morning yoga practices, your class cost of $5 will go towards paying the City of Orlando. A small percentage will go to the guest yoga teacher for their time, energy, and expertise. Because Amanda is committed to making yoga classes affordable so that they could be accessible to everyone. Our tribe is a group of rad, local yoga instructors with different backgrounds and teaching styles. They will often be your guest instructors. The tribe is available to answer questions about yoga. They will also be stationed at the opposing ends of the group to repeat the instructor’s dialogue for those who cannot hear clearly. Each tribe member has a minimum of 200 hr Yoga Teacher Certification and plenty of yoga teaching experience, not to mention they are passionate about our local yoga community! Yoga mat. Water. Five Bucks. Wear comfortable clothing. Any type of athletic wear will do. Every Sunday at 11am for 1 glorious hour. There is FREE parking along the side streets surrounding Lake Eola. You will also find paid parking options in the parking garage on Central & Eola and a lot on the corner of Robinson & Eola. •Where to I look to confirm class is happening? If there is ever a cancellation, you will find it posted on the Yoga In Lake Eola Park Facebook page. We are looking forward to meeting you! This is a space where all are welcome. Bring the whole family!